Richmond plastic surgeon Neil J. Zemmel, MD, FACS chose to upgrade his satellite website to transform an outdated design into a modern, state-of-the-art look. The project was focused on enhancing his existing site to reflect many of the elements featured on his main practice website as well as specialty websites. To give his self-titled site an updated design, our team equipped the comprehensive online resource with the latest in medical SEO best practices, an easy-to-use patient photo gallery, and responsive capabilities to improve user experience. 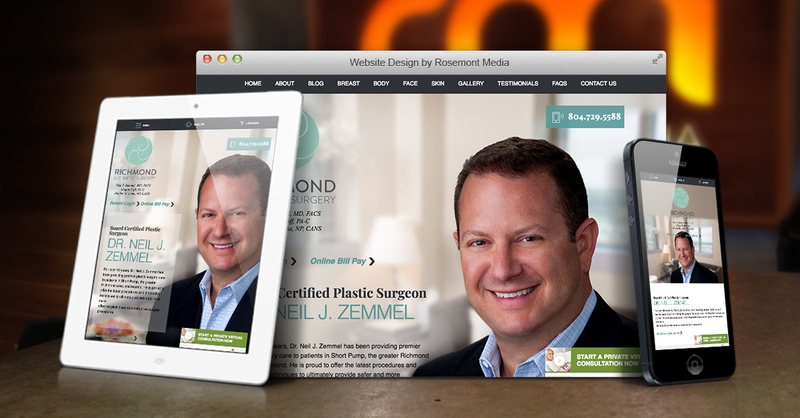 To view the medical website design that was custom-made for Dr. Zemmel and his practice, Richmond Aesthetic Surgery, visit www.drneilzemmel.com.